In 2001 Baby Woodrose released their debut album Blows Your Mind and Bad Afro was on the spot to sign them up. Their first release on Bad Afro was the Never Coming Back 7”. 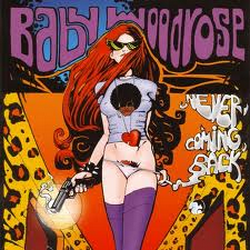 Back then Baby Woodrose had two guitars and drums in the line-up and this is a cruder version of Never Coming Back that also appeared on the Money For Soul album. My Flash On You is exclusive to this single. Originally released 25/05/2002 wrapped in a stunning poster sleeve by Malleus.